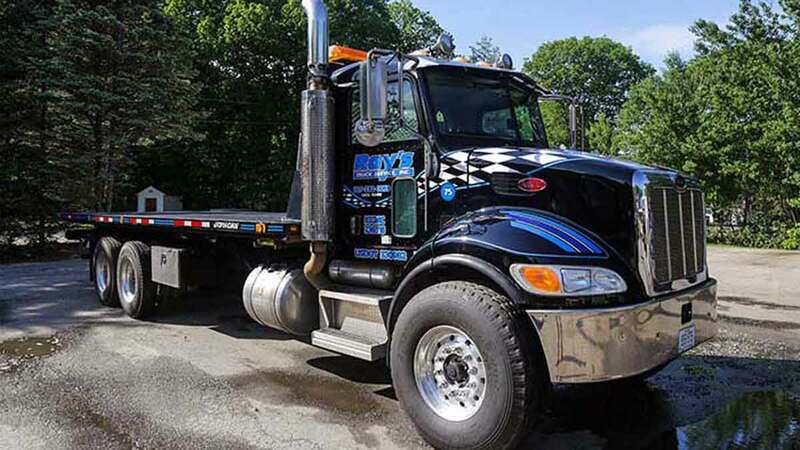 Rays’ Truck Service provides heavy truck towing & recovery services throughout Southern Maine and along I-95 between Portland and Portsmouth. We have heavy towing services for all truck weights and classes. Our service area also includes Rt. 202, Rt. 112, Rt. 117 and Rt. 1. Our fast response heavy towing operators have the knowledge to recover and tow your asset as quickly as safety allows ensuring you’re back on the road ASAP. Call our 24hr Heavy Duty Towing Dispatch Line at 207-282-0059. 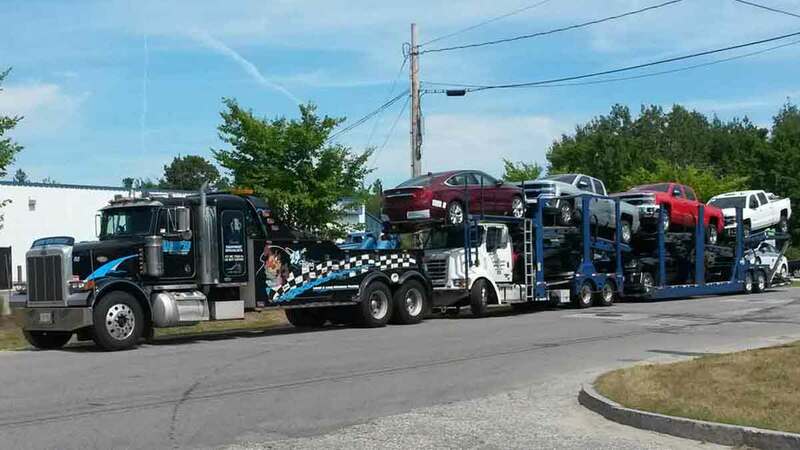 Ray’s Truck Service is licensed to provide heavy truck towing throughout Southern Maine. We maintain a huge fleet of towing and recovery vehicles, cargo handling assets and personnel prepared to resolve any heavy transport recovery issue. We provide heavy towing services for all types of trucks including: semi-trucks, box trucks, delivery trucks, tractor trailers, utility trucks, garbage trucks and work trucks. Our team of professional semi-truck towing experts are ready to respond to your call, 24/7/365. Call our 24hr dispatch center now at 207-282-0059. Ray’s Truck Service is your source for fast and affordable RV towing in Southern Maine. We are the most experienced Maine RV towing service, so call Ray’s Truck Service, knowing you’re choosing the best. We have years of damage-free RV towing experience and can haul your RV, bus or motorhome with our fleet of heavy duty wreckers and drop deck trailers. The heavy towing team at Ray’s Truck Service is your safe choice for I-95 RV towing. Call our 24hr dispatch center now at 207-282-0059. Ray’s Truck Service maintains medium-duty tow trucks equipped to tow work trucks, delivery trucks and more from the tightest places. Our medium duty towing experts can tow your truck to any location in Southern Maine and along I-95 Maine Turnpike. We also regularly provide medium duty towing Rt. 202, Rt. 112, Rt. 117 and Rt. 1. Boasting over 200 years of towing the Ray’s Truck Service Team is prepared to tow your truck now. We routinely provide towing for Delivery Trucks, Straight Trucks, Construction Trucks, Work Trucks, Service Trucks, RVs, Motor homes and 5th Wheels and Travel Trailers.